True, St. Gallen is certainly East. But we are pretty north as well. Basically the three cantons with the most horrible dialects are "Ostschweiz". Hopefully never. The hyprocracy of ‘They force woman to wear it’ with the responce of ‘we will ban women from wearing it’ is so appalling. Either it is fine to dictate what woman can and can’t wear, or you have an egalitarian society. As a woman, I don’t ever want to live in a country that enforces female attire, yes that means I would not live in certain arabic countries, but it also means that I feel uncomfortable living in a country that bans burkas. The only positive aspect of such a law is it gives freedom to those women that are forced to cover up by the menfolk in their families. What if the women wants to wear it out of her own will without being forced to do so? So the government force them not to cover up, doesn’t sound like giving a freedom to me. Women are capable of making their own decisions you know, and some women do decide to follow their cultural traditions and cover themselves. And many women are forced to cover up by either law or by family members. Perhaps you believe the latter doesn't happen. Your posts suggest that. I'm not in favour of a ban but I don't think the rosy picture you paint covers the more important issues in communities where a face covering is the norm. These muslins, they're just like children. They want looking after, ain't that right, Tom? So what good would it do to the women to ban them from covering up? The "family members" can ban them from going out of the family home then! Believe me, a lot of women who are not covered up are suppressed by the men in their family, in other ways. I don't believe there will be a national-level ban in the forseeable future. I don't think there is the support for it, especially not in the more progressive leaning cantons and bigger cities, or areas living off internmational tourism. It just won't happen. Comparisons to the minaret ban are not really applicable here because of the special back story of that ban. What might happen is that there might be bans concerning certain situations or professions, but I think it's even a stretch to see that being accepted. So no. On a national level there won't be a ban. 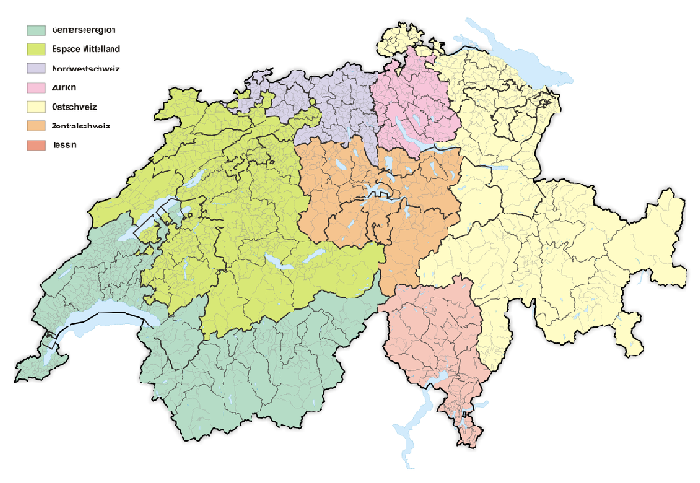 But maybe one or two further cantons might follow the lead of TI and SG. But I can't see any obvious candidates right now. If that does happen, expect there to be some collusion betwen the left and right wings of the political spectrum. Some elements on the left wil support such a ban as they believe religion should be kept out of public life (and preferably stamped out altogether). The right oif course will support it because they want to make things difficult for Muslims. It wouoldn't be the first time the two worked together. The objective being more important than the motivation. Ah, no problem. We force on a law that makes them go out twice a day for at least 10 km away from their registered residence. On foot of course, no hiding in cars with tinted windows. If you're worried about the control: We can give the job to the new insurance-private-investigators who will run out of work after only a short while. I'm not sure, do I need to put a here? I don't get your point. I was trying to say that you cannot "free" women by forcing them to do the opposite of the things they are "supposedly" forced to do by their husbands. I was not taking the piss out of you. Curley is agreeing with you. I guess seeing your thanks under curley's post and not mine threw me off. Well, you answered my question at the end of the post: YES! I should have put an ! DB prefers sarcastic phrasing to dead serious. Specially on Fridays. Great, Curley and Kedi are now in agreement. Which one of you is going to wear the burqa ands which one the niqab ? So either nobody or everybody in Switzerland must wear the burqa/niqab? Why can't you wear one on top of the other? The law would only ban either / or, right? Good, glad you agree with me in respect that family members can suppress women and it's not their own free which governs their freedom in attire and movement which seems to be suggested by a lot of non-Muslim feminist do-gooders. As I wrote before, I did not say that a ban was a good idea. Interesting article here about Parisian muslims who 'chose' to wear they veil and then 'chose' not too. In 'chosing' not to wear it, many have been ostracised from their families and communities and have had to move on completely from their old lives.